2003 Crownline 225 CCR RARE MODEL CROWNLINE, EXCELLENT CONDITION, ONE OWNER! 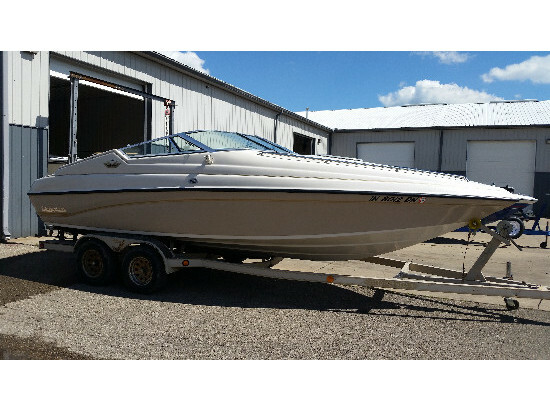 2003 Crownline 225 CCR Limited Edition w/MerCruiser 350 MAG, 300hp Bravo III and Custom Crownline Tandem Axle Trailer w/Brakes. Equipped with captains call exhaust. 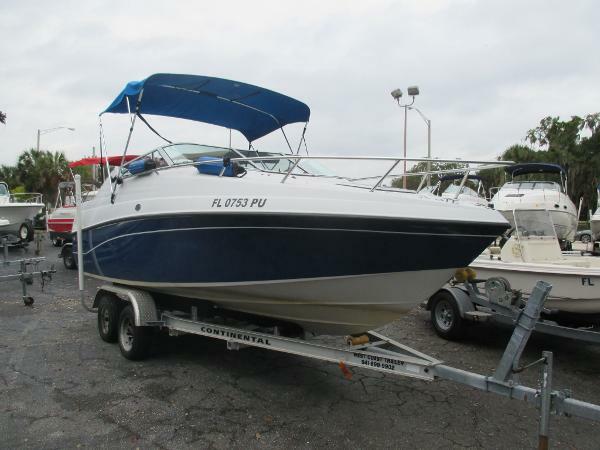 This one owner cottage boat has been extremely well taken care of and looks and runs great. The cockpit features bucket helm and companion seats with fold down rear bench and large sundeck. Walk-thru windshield for easy access forward. The roomy cuddy includes a porta poti, V-berth filler, port and starboard satees, fresh water sink, lighting and bow hatch. Nicely equipped with bimini top, cockpit cover, custom mooring cover, depth finder, cd player and more. Call today. 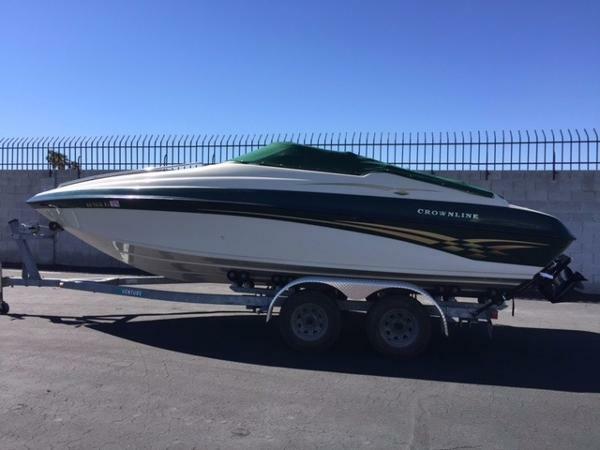 1998 Crownline 225 CCR CONSIGNMENT SALE 1998 Crownline 225 CCR This is a 1998 Crownline 225 CCR that is powered by a MerCruiser 7.4 MPI Bravo 3. This boat is equipped with the following options: Docking Lights, Dual Batteries with Switch, Rear Sleeper Seats, Flip Up Bolster Seats, Porti-Potti, Cabin Sink, Cabin Filler Cushions, Sun Top with Side & Aft Curtains, Mooring Cover, Cockpit Cover, VHF Marine Radio, and a Sony AM/FM/CD Player. The trailer is a Heritage Custom Bunk Tandem Axle Trailer with Spare Tire.We are selling this boat on consignment for one of our customers. No Trade In's will be accepted on this boat. 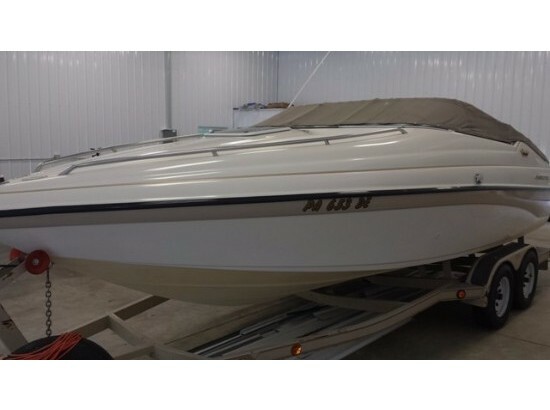 Payment must be by certified check made payable to the owner of the boat.This boat is in good condition! The engine has 182 hours of runtime. We have fully checked thru the boat, motor and trailer and everything is in good working condition. 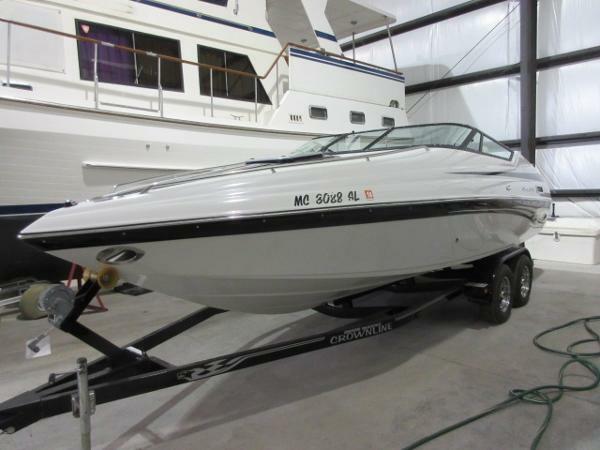 1998 Crownline 225 CCR JUST ARRIVED! This is a remarkable 22 foot Cuddy Cabin with a very well thought out design. 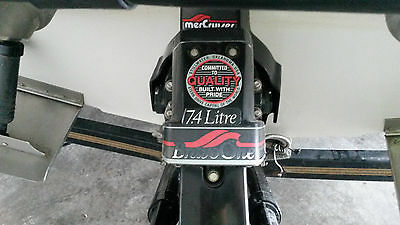 The boat is powered by a 5.7L, 250 hp Mercruiser. The boat has a cover as well as additional canvas for full enclosure. This boat has been exceptionally well taken care of. A must see at our location on Boulder Highway in Las Vegas, NV. 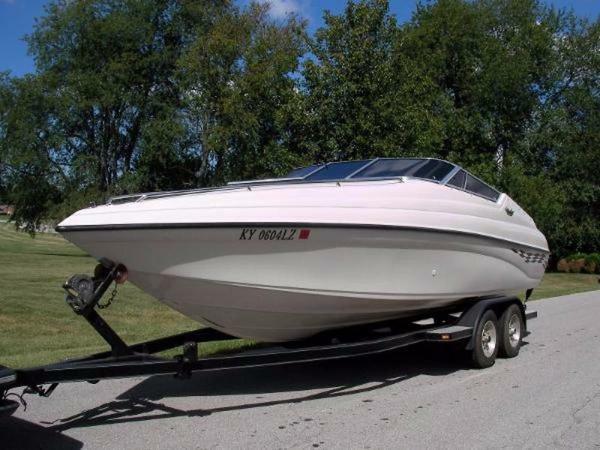 1995 Crownline 225 CCR 1995 Crownline 225 CCR Location: Somerset, KY, US Beautiful 1995 Crownline 225CCR Roadrunner Tandem with trailer for sale. 700 hours, Custom stereo system recently installed, has a nice little cabin which has a lot of storage room for water sport equipment, and also converts into a bed. The cabin also has its own restroom under the cushions! Very convenient. This boat truly is a head turner. Call Jim or Scott for more information.Disclaimer The Company offers the details of this vessel in good faith but cannot guarantee or warrant the accuracy of this information nor warrant the condition of the vessel. A buyer should instruct his agents, or his surveyors, to investigate such details as the buyer desires validated. This vessel is offered subject to prior sale, price change, or withdrawal without notice. 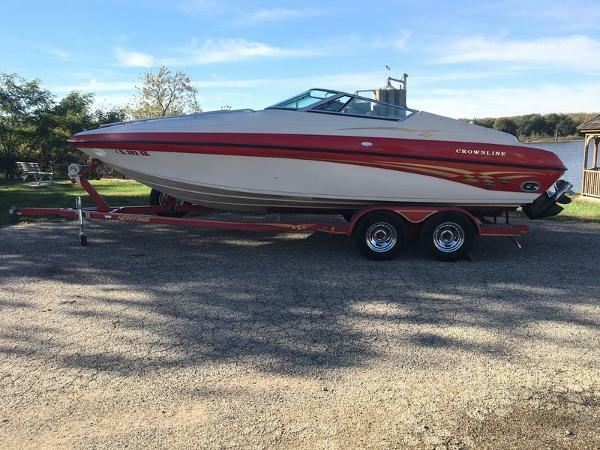 1994 Crownline 225 CCR with Trailer This new arrival is ready to go. Make an OFFER !!!!! Owner wants it sold today ! Comes with Aluminum Trailer, Bimini Top, Telescopic Swim Ladder, full dash instrumentation, Cuddy Cabin with Porta Potty and sink with fresh water. Stop by and have a look !! !